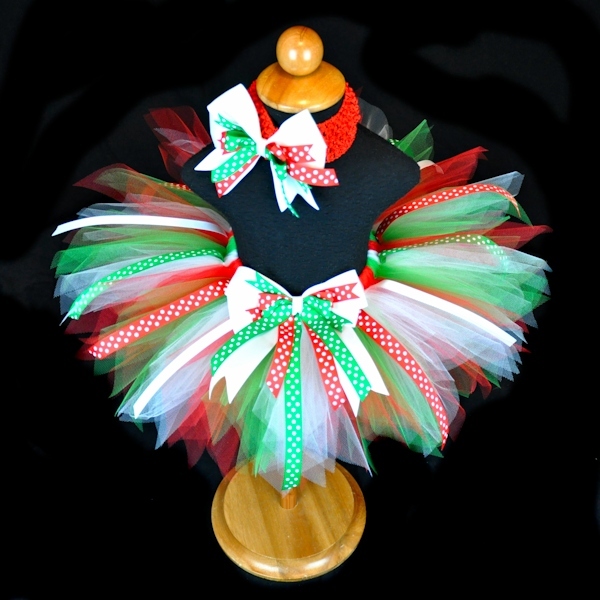 Girl's Christmas Holiday red, green, and white tutu with polka dot ribbon streamers and optional hair bow. 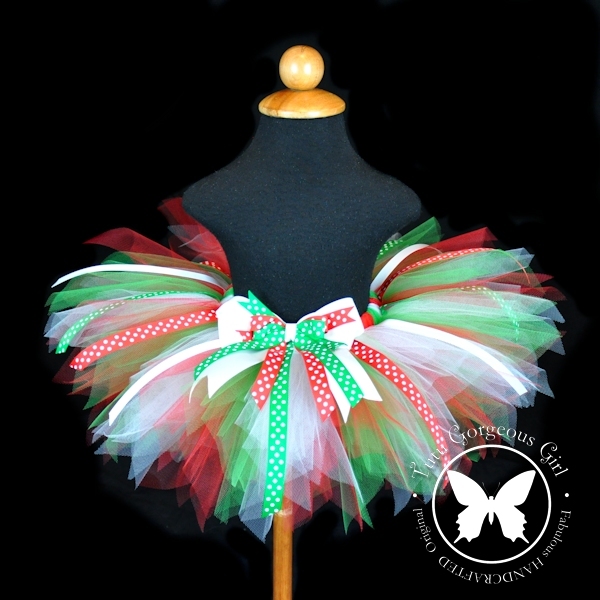 The Christmas Darling tutu features red, white and emerald green tulle, coordinating polka dot ribbon streamers, and a layered bow clip at the waist. 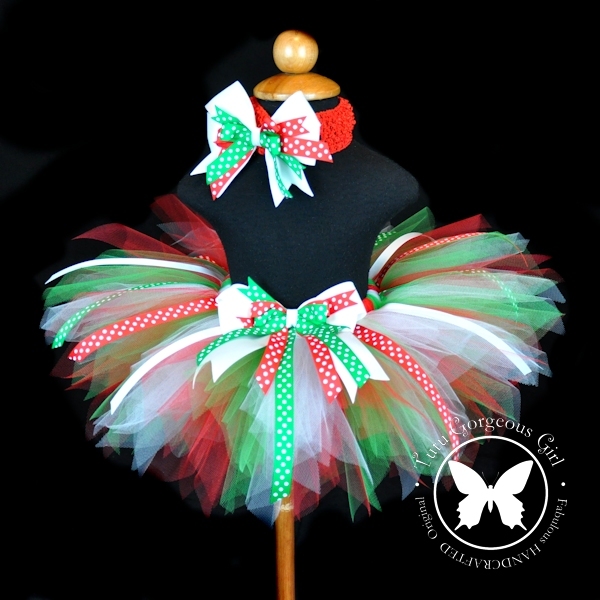 An optional hair bow and headband can be added to your order. 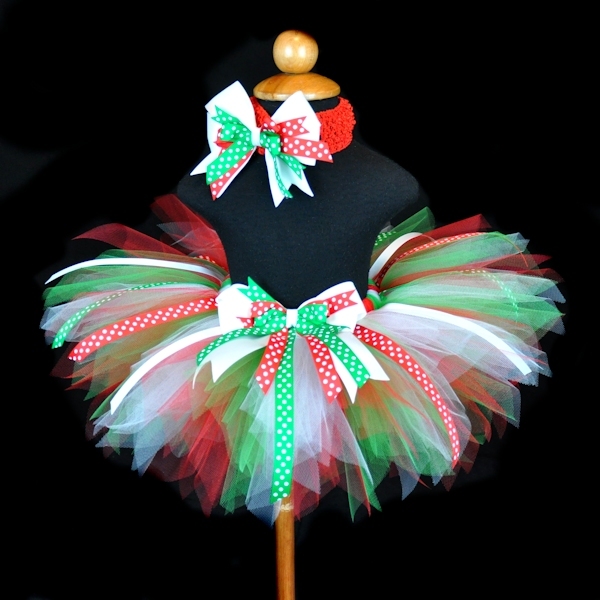 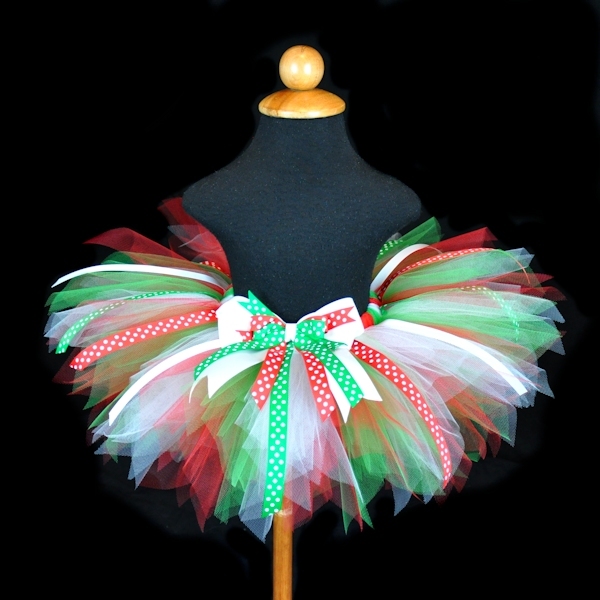 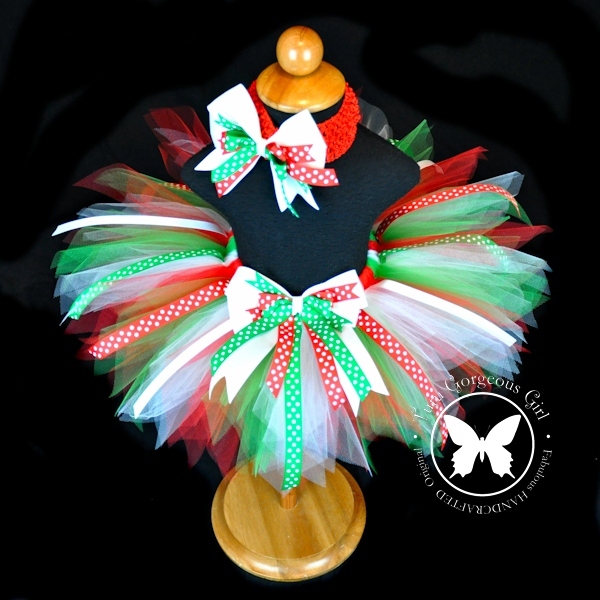 A darling tutu for your holiday portraits, Santa and Me outfit, or Christmas parade.